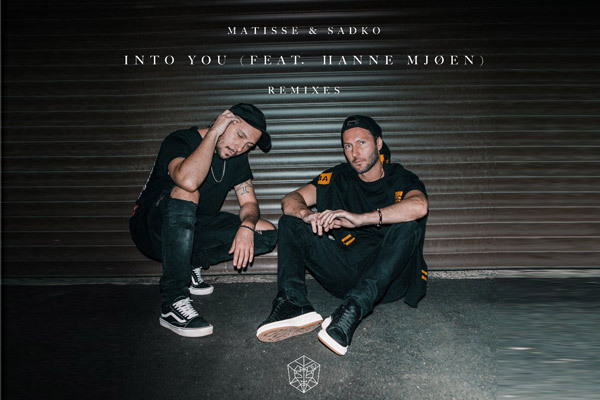 MUMBAI: The epic future pop anthem Into You has proved to be a big hit for the formidable Matisse & Sadko and their vocal collaborator Hanne Mjøen, with over half a million plays so far and great reactions in the press following its Billboard Dance premiere. Now STMPD RCRDS release a collection of amazing new remixes that take the track in several directions. With such a strong song and vocal at the heart of the track, an acoustic version just had to be done. The lush instrumentation glides and swirls sensually around Mjøen’s soft delivery, and the result is a beautiful chillout track. Antoine Delvig’s bass music mix takes elements of pumping house, dubstep and electro and fuses them together into a seriously wild ride with a huge build-up at its centre. Slique’s remix is one for the tech house fans, all driving percussion and low rumbling bass. Damien N-Drix’s incredible production technique blends wavy sub bass with a crazy flute riff to make for a hard-hitting remix. BADFLITE completes the package with a crazy version that blends cutting-edge hip-hop vibes with a little dubstep flavour. Matisse & Sadko are killing it at the moment, with a new collaboration announced with Tiësto that will become part of his new EP, their new weekly Monomark Radio show rapidly building a big audience, and their remix of Axwell & Ingrosso’s Dreamer. MUMBAI: EAUXMAR’s brilliant blend of pop and dance makes for some seriously infectious tracks, but this new VIP Mix of recent single Overrated shows that he’s got what it takes to reinterpret his gorgeous productions for maximum dance floor impact. Martin Garrix's secret weapon sees the light of day? MUMBAI: There’s always something special about a track that’s allowed to marinate and build hype slowly over time. MUMBAI: Continuing his fine run of form for STMPD RCRDS, Dutch bass x house freak Bart B More serves up another killer cut on Rave Lab. As typically colourful and exciting as we have come to expect from his skilled hands, it’s another oddball cut that keeps you guessing.